Burlap You Is Kind You Is Smart You Is Important The Help Stuffed Pillow is made with a high quality burlap and lined with cotton muslin. I have lined this pillow so that no white fiberfill shows through your pillow, this gives your pillow a very sturdy feel. This is such a cute quote to have on a pillow in your home! 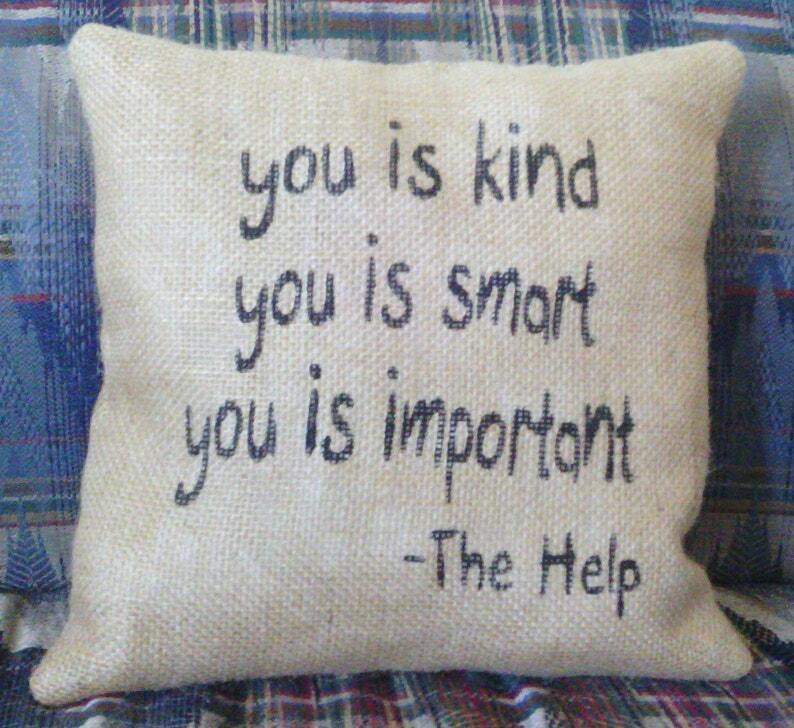 You Is Kind You Is Smart You Is Important The Help letters are painted black on the front of the pillow. The seller, Rosalie, was so helpful and remade the pillow after I received it and thought it would be a lighter color from the pictures. She was so accommodating and addressed my emails immediately. Lovely pillow, great quality, and looks great!!!! And, of course, what it says is what every child needs to hear, poor grammar and all.